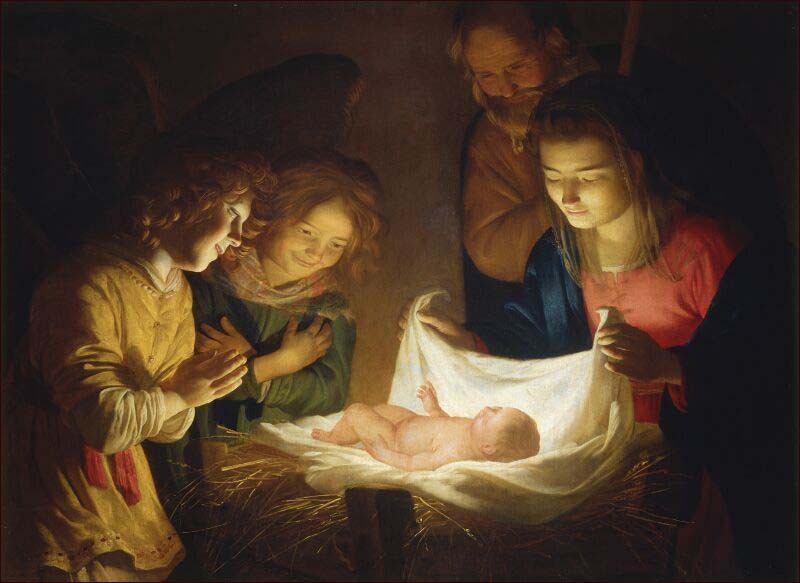 The virgin birth made possible the uniting of full deity and full humanity in one person. This was the means God used to send his Son (John 3:16; Gal 4:4) into the world as a man. If we think for a moment of other possible ways in which Christ might have come to the earth, none of them would so clearly unite humanity and deity in one person. It probably would have been possible for God to create Jesus as a complete human being in heaven and send him to descend from heaven to earth without the benefit of any human parent. But then it would have been very hard for us to see how Jesus could be fully human as we are, nor would he be a part of the human race that physically descended from Adam. On the other hand, it probably would have been possible for God to have Jesus come into the world with two human parents, both a father and a mother, and with his full divine nature miraculously united to his human nature at some point early in his life. But then it would have been hard for us to understand how Jesus was fully God, since his origin was like ours in every way. When we think of these two other possibilities, it helps us to understand how God, in his wisdom, ordained a combination of human and divine influence in the birth of Christ, so that his full humanity would be evident to us from the fact of his ordinary human birth from a human mother, and his full deity would be evident from the fact of his conception in Mary’s womb by the powerful work of the Holy Spirit. Wayne Grudem, Systematic Theology: An Introduction to Biblical Doctrine (Grand Rapids, MI: Zondervan, 1994), 530. This entry was posted in Christmas, Incarnation, Virgin Birth, Wayne Grudem and tagged Christmas, Incarnation, Virgin Birth on December 23, 2010 by GlennDavis.